Veterans pay nothing for Honor Flight. 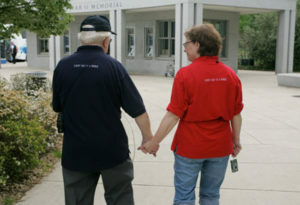 Travel, food, and all fees are paid for by Veterans Honor Flight of Southern Illinois through donations. Help us by sponsoring a Veteran on the next flight. Your name will be published during the Welcome Home ceremony at Veterans Airport for the flight your sponsorship applies to. Receive a Certificate of Sponsorship to proudly show your support for Veterans Honor Flight!